Change is the only constant. Learn to be a change-maker. 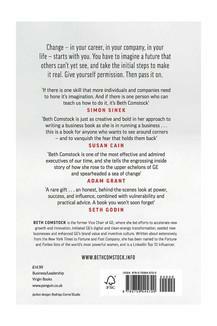 In imagine it forward, Beth Comstock, the former vice chair of ge, describes her twenty-five year efforts to be an instigator of change at every level of business. When she first moved from nbc to parent company ge in 1998, she was ignored as a woman in a man's world, treated as an outsider because she didn't have a business background and ignored as a mere pr person. But ceo Jeff immelt realized even then that the industrial giant, like so many businesses, had to change fast in order to stay relevant in a world where google, facebook and an explosion of internet companies were transforming how goods and services were marketed, made and sold. In a deeply personal journey filled with practical takeaways from two plus decades of initiating change at the top levels of one of the largest corporations in the world, Comstock lays out the challenges, opportunities, tools and practices needed to embrace change, whatever industry you are in and make it part of every management decision. 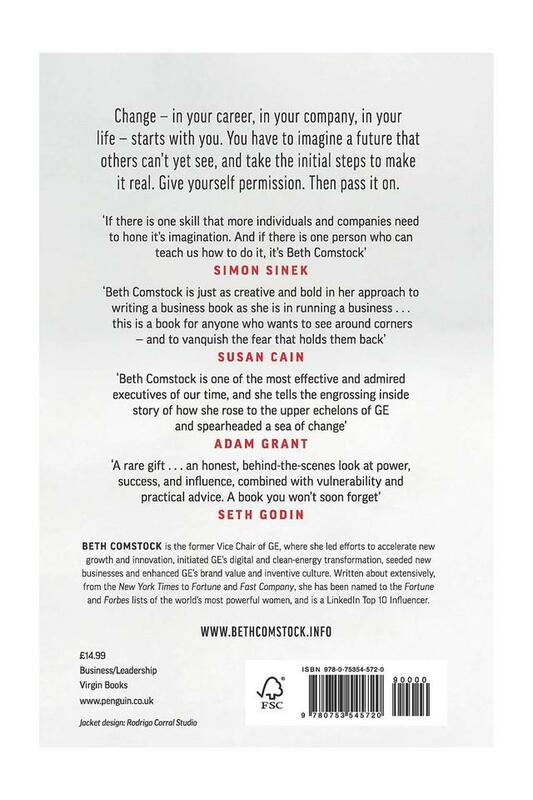 Beth Comstock is the former vice chair of ge, where for 25 years she led ge's efforts to accelerate new growth. The chief marketing officer for Ge, she operated Ge lighting, Ge's business innovations and Ge ventures, which develops new businesses, markets and service models. She was named chief marketing officer in 2003. In 2006, she was named the president of integrated media at nbc universal, overseeing ad revenue and the company's digital efforts. Written about and profiled extensively in the media, from the new York times to Forbes, fortune and fast company, she is on the Forbes list of the world's most powerful women.